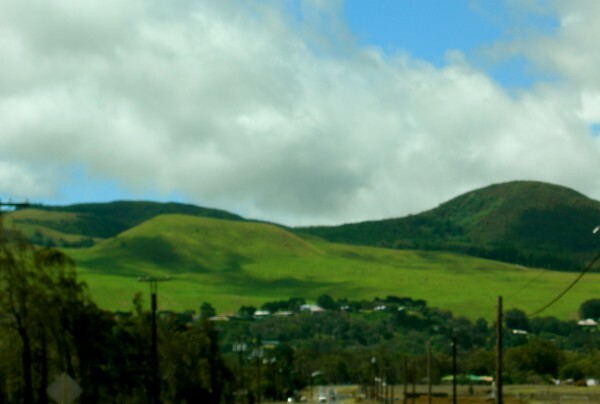 On the slopes of Kohala Mountain, Waimea, (aka Kamuela) faces Mauna Kea, Mauna Loa and Hualalai Mountains. Waimea is centrally located in the Northern aspect of Hawai'i Island. 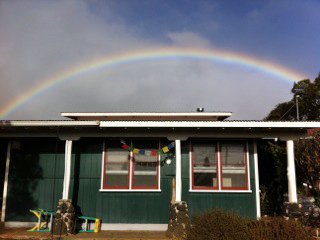 Rolling hills, clear air, sideways misty rains with sunshine, rainbows and winds grace the home of the Hawai'ian cowboy, the Paniolo. Waimea town has terrific dining, art galleries & shopping, highlighted by weekly farmer's markets providing fresh locally grown fruits & vegetables, superior grass fed beef, flowers & cheese. World renowned beaches are close,10 miles to Hapuna, Wailea & Spencer's. I provide towels, extra gear is easy to rent in Kawaihae or Waikoloa for snorkeling, diving or paddle boarding. Kohala Mountain road takes one to Hawi, Kapa'au, & Pololu Valley. Honoka'a town is access to Waipio Valley. These lovely old style towns still hold the sense of living from the days of active sugar cane industry. 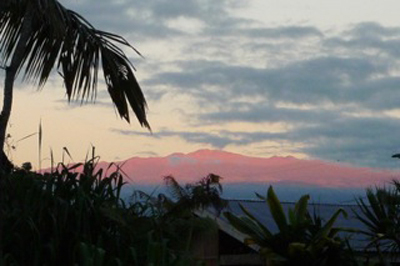 About 40 miles on Saddle road are Mauna Kea & Mauna Loa accesses, 65 miles to Hilo town. Volcano Village is 90 miles. Stargazing is divine at the Onizuka center however pretty good from my front yard. One can swim in the morning's calmer ocean, hike in the mountains mid day and return for a sunset picnic.